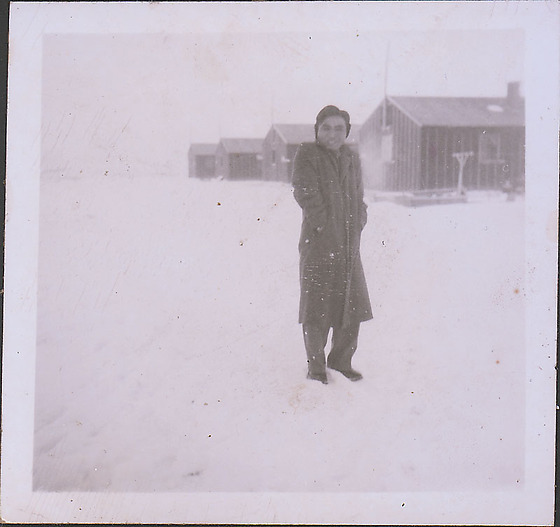 A man in an overcoat stands in the snow at Heart Mountain concentration camp, Wyoming, Winter 1944-1945. 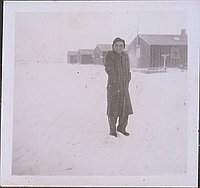 He appears cold with hands in pockets and shoulders shrugged. He smiles directly at viewer. Row of four barracks in the background right. Same man appears in photograph 92.10.2K.